All startups today need an online presence to be heard by the right audience. BENGALURU: All startups today need an online presence to be heard by the right audience. This brings along another requirement of establishing a reliable e-commerce portal to sell products. Here is where, websites like shopmatic.com can help you. 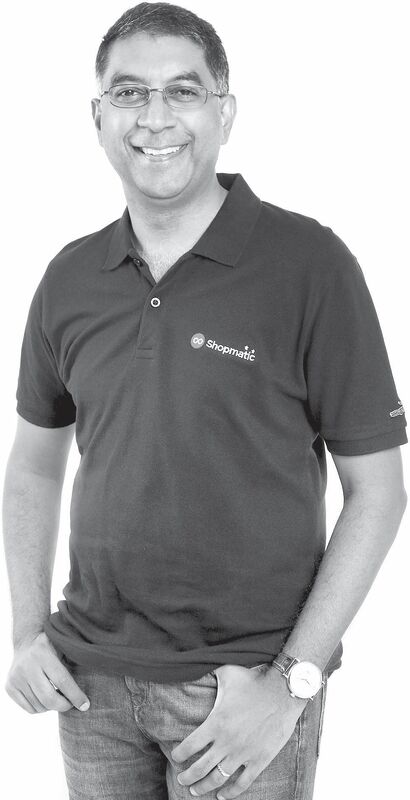 Founded by Anurag Avula, Yen Lim and Kris Chen in December 2014, shopmatic.com primarily works in Singapore with corporate offices in Gurgaon and Bengaluru. Anurag describes the features of shopmatic, which will allow customers to generate a user-friendly webpage for their businesses. “We are an e-commerce enabling company helping anyone who wants to sell online. We create the entire ecostructure for them online,” he says. “This includes everything ­— right from creating templates, adding payments, shipping, marketing and selling to managing social media channels for them. We try make this happen for both small businesses and individual entrepreneurs,” he adds. If an entrepreneur has an idea but lacks the technology to sell their product, with the help of shopmatic.com they can enable the business to go online. “We have two products available in India. One of it, which is goshopmatic.com allows customers to create a website in less than three minutes.” says Anurag. It is a free platform to create a website. “The other is Shopmatic Pro launched last year in January. You get to choose from 65-70 templates, allowing you to have a domain name, make domestic and international payments, shipping both local and globally and encourages one to sell on multiple market places whether it is eBay or Amazon in India.” This website is given at a subscription price of $20 a month. Shopmatic.com provides access to multiple sales channels. They help customers manage a Facebook store too. A lot of people in India are keen on getting on to the online bandwagon, but lack the appropriate means to make it through. “In the current context, they would just go to Facebook or Instagram and sell using those channels, but that doesn’t allow you to give the professionalism of a store front nor does it allow you to complete the transactions.” explains Anurag. He says that the firm recognises that when people want to create an online forefront, researchability, discoverability will take a lot of time. “In that time you can leverage the channel of the market places, the social platforms that’s available to you and build a base around that. We have over 40,000 customers in India now on goshopmatic.com. It is not an individual forefront, but is about the Facebook presence,” he adds. India is the first market the company was launched in, states Anurag. They will launch themselves in other markets like Thailand, Philippines and Indonesia by the middle of 2017.